...does this mean Hell has frozen over? Last night, I sat in the audience at the second grade Christmas program, watching Annie, but thinking about Isaac. Last year at this time, watching Bryce at the same concert, Isaac was in the hospital getting his spica cast put on, which seemed like just about the worst thing that could have happened just when he seemed to be getting better from MRSA. This week we learned that he has only two more physical therapy sessions before his therapist is "graduating" him and his infectious disease specialist discontinued his antibiotics after three doses daily for more than a year. I guess life really is getting back to normal. Normal is good. I wasted most of this weekend reading Salem Falls, the story of Jack, a high school history teacher who tries to start his life again after being wrongly accused of sexual assault, only to have the whole thing happen again in the new town. It was an easy read, an engrossing story, but there were parts of the story that drove me crazy. For one thing-- the dates were constantly off. For example, Jack's love interest Addie had a daughter who died some time in the past. At one point, they said she'd died ten years earlier, at another point, they said it was eleven years earlier, and another time they said it was eight years earlier. It might not seem like that big a deal, but it mattered to me, because it was the only way for me to gauge how old Addie was, since I knew that she was twenty-seven when her daughter died (or was she?). At the end of the book, they talk about how Jack went to jail in the summer of 1998, but the book takes place in 2000, and he was in jail for eight months, so he obviously went to jail in 1999. It's stuff like that that drove me nuts. Furthermore, while the story kept me reading, it felt like literary McDonalds. Not really good, not at all mind-expanding, but it somehow kept me coming back for more. It definitely cemented my opinion that Jodi Picoult is the female gender's John Grisham. 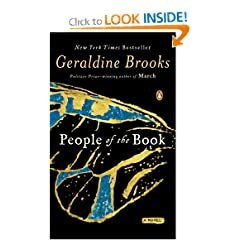 I'm a big fan of Geraldine Brooks's previous works of fiction, March and Year of Wonders, so it's no surprise that I also loved People of the Book. While Brooks's other novels have been strictly historical fiction, with settings far-removed from modern life, in this novel, Brooks blends both modern and not-so-modern, following the story of the Haggadah, an illuminated Jewish prayer book that survived several wars and hundreds of years and ended up in Sarajevo in the mid-1990s. The main story follows Hanna Heath, a book conservator called into assess the condition of the Haggadah. During her work, she finds several unusual items in the book, including a piece of hair, an insect wing and a wine stain. Brooks interweaves the story of each of those items along with Hanna's story. It's a pretty quick read, and very interesting, and of the same high quality as Brooks's other works. It's not completely cohesive, and a little but unfulfilling in that the readers end up knowing more about the book's history than the historians studying it, but it's still definitely worth the read, especially if you're a fan of Brooks's other works. I'm usually highly skeptical that modern reinventions of Shakespeare's stories can be anything other than goofy. Think of Rosenkrantz and Guildenstern are dead, for example-- it's fun, but definitely goofy, right? From the very beginning of David Wroblewski's novel The Story of Edgar Sawtelle, it's obvious that he's writing a modern reinvention of Hamlet-- Edgar's mother's name is Trudy and his uncle's name is Claude, for example, but it feels like a well-wrought story in its own right. The kingdom the Sawtelles rule is a farm of specially-bred dogs, and Ophelia's character is a dog, though no less loving and loyal than her human counterpart. If you like Leif Enger's novels or have an affinity for the northern Midwest, Edgar Sawtelle will appeal to you, but even if you don't it's worth the 500+ pages and several weeks of investment you'll put into the reading of it. Just remember what happens at the end of Hamlet, and you won't be disappointed like so many of the amazon readers whose reviews I read. I found it hard to push through the last 100 pages since I felt like I'd grown to love Edgar and couldn't stand to watch the inevitable conclusin. I'd heard raves about this novel, and was eager to plunge into it. I picked it up at a busy time in my life, and was sort of disappointed when I didn't lose myself in it-- it's a young adult novel, after all, it shouldn't have been so hard to get into it, right? But at our book club discussion I found that several of the other readers found the first couple hundred pages less than engaging (it's long!). I felt amply rewarded for pressing through, however. Zusak's book seems a testament to me that books written for teenagers don't have to be less literary or less challenging than books written for adults. I loved Zusak's imagery and fell in love with the characters. While it's a book about a difficult subject (WWII and the Holocaust) and many of the characters meet their ends in the course of the story, it also felt like a hopeful book. 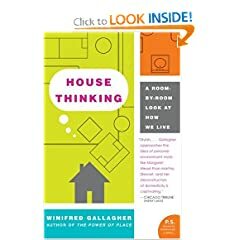 In House Thinking, Gallagher takes us on a tour of her New York brownstone, breaking down how each room in her house is used today, and how rooms of this type were used in the past. It's an interesting idea, but I think that Gallagher's take on it falls short-- mostly because it really needs pictures. She'll go on for pages and pages talking about some modern architect's interpretation of a child's bedroom, for example, but a photo or two of that bedroom would have given us the same information much more succinctly. 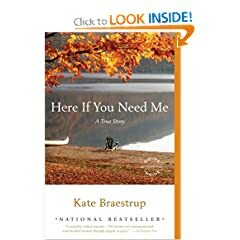 I also felt like it was a weird merging of factual book about how houses work with a memoir of her own personal house and her family's journey to make it a home. 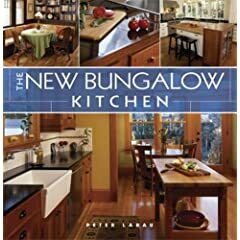 If you're into retro kitchens with lots of farmhouse sinks, built-in-bookshelves, cabinets that look line fine pieces of furniture and built-in eating nooks, here's a great book to spark your imagination. 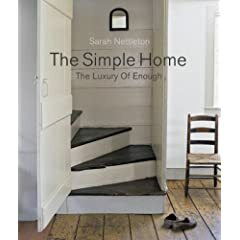 Although many of the kitchens are in older bungalow-style houses (or new houses built to look like authentic bungalows) the principles in the book could easily be applied to other types of architecture. I grew up in a house with a built-in eating nook, and it's something I've had on the wish-list for my dream house, so I think that's how this book ended up in my reading pile. Sure, the homes in The Simple Home don't have a lot of junk in them. They're probably smaller than their owners could afford. But they're still, by any stretch of the imagination, fancy houses for rich people-- just rich people who don't like a lot of tchotchkes. I did love one of the renovations, a California house in which the architects added half a house to the back of an existing modest ranch house to make it super-fabulous. There's also a long window-seat idea that I want to steal for the guest room/office in our next house, if I can figure out a way for it to work. Books like this make me want to have lots of built-ins in my next house. But I don't think that if I had a house like the ones profiled in this book, beautiful as they are, that I'd call it a simple house. Beautiful, yes? Simple-- compared with what? First of all, if you're LDS and uncomfortable (or sticking your head in the sand) about our church's history with polygamy, then this probably isn't the book for you. It's really two stories-- a modern-day story of a young man trying to get his mom out of jail after she was arrested for murdering his polygamous father. The other story is about Ann Eliza Young, widely known as Brigham Young's 19th wife, who left him after several years of marriage and spent most of the rest of her life campaigning against polygamy and the Mormons. Ebershoff's portrayal of Brigham Young is pretty harsh, but if you're not wary of reading another viewpoint (albeit fictionalized) of our history, it's very well-written and thought-provoking. When you wake up giggling in the middle of the night from a very vivid dream in which you and your friends are sitting around joking about witty and snarky Facebook status updates you'd ghostwrite for each other. In your half-awake stupor, you make a mental note to "blog about this tomorrow." Unfortunately, when you wake up the next morning, you can't remember any of the sarcastic and pithy taglines, only the admonition to blog. So blog I am doing. 1. blogging for the fun of it.